I would be in. I'm not sure what I'd do yet. What about what-ifs...like a turretless T34 mounting a AT3 Sagger for example? Or maybe a more conventional infantry tank killer team, of some sort, moving in on a target. I think I have a TOW launcher from an old MUTT kit. I'll figure something out. Sounds like an interesting campaign. I might sign up. 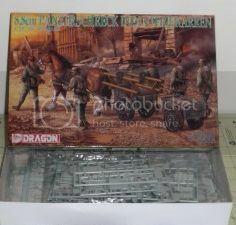 If so I have this kit in my stash I might try to do something with. I just don't like the thought of dogs being used that way but that is a part of history. I just don't know what my schedule and health will allow in regards to taking part. That will all depend on a few things I guess. And just for some fun. Sounds interesting. Recently I was watching special about the Yom Kippur war and in the footage (though not at the same time) there were T-34/85s and Saggers being used. Though nobody likes to see dogs used that way, it could be interesting. Hope you can join us. I'm in. I have no idea as yet what I'm going to build but I've recently picked up the old Airfix 17lber. 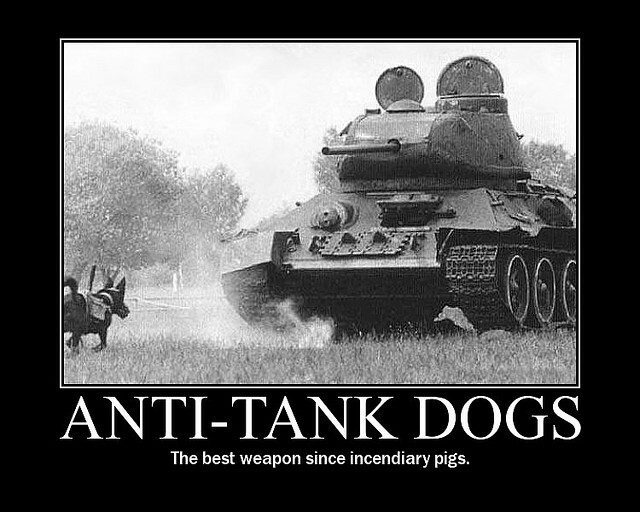 Would that be okay with it being an anti-tank gun? Yes, your 17lb AT gun fits the campaign perfectly. Glad to have you with us! Would you consider Sci-Fi entries? Your Ferdinand is very welcome! No tank hunters campaign would be complete without it. TBH I hadn't even thought of sci-fi possibilities. So, why not. Welcome aboard. It'll be interesting to see what sci-fi has to offer to the world of tank hunting. Had planned to do my Achilles, but a few current campaigns have lined up with a personal model theme I had in the works, so instead I will be going with my Bronco QF 17pdr AT gun. Knock yourself out. It's all about having fun and sharing the hobby we love. Whichever you choose. They'll both be great additions to thr campaign. Interesting choice! This is another kit I've never known of. I think I'm going to get a lot of education on this campaign. I have two DML Panzerjaeger Is in the stash. I'm thinking France 1940. That would be great! I've neve seen detail shots of the Earliest Panzer jagers. I had a bit of a mental hiccup on the T34 idea so that one is off the table. I've got a Trumpy T55 kit gathering dust so it could be a fun way to abuse it. Maybe up its armor and stuff. I think I might do a what-ifish T55 Tank Destroyer armed with a 122mm gun and possibly equipped with a plow. I'm not sure if it'll have a fixed casemate like a SU-122-54 or the fighting compartment will be moved to the rear and the engine moved forward. Didn't somebody post a T-55 Marder recently? I'm shooting for something more along the lines of a Su-122-54. Yes, That was the one I saw. Either way it'll be interesting to see what you come up with. Glad to hear from you! I will be doing a Marder III, for certain. Look forward to seeing your build! i'm in. AFV Club Nashorn. M-10,M-36,Brit Achilles, Jagdpanther, Jagdtiger, PZ IV with 88mm on top of chassis,Brit 17 pounder Archer,Jagdpanzer 38(t) Hetzer, German Sturer Emil 128mm, russian SU-152- SU-122J, SU-122, SU-76, SU-85,85M,100,ZIS-30,Marder's I,II,III etc...there's still more but slipped my mind at moment. Glad to have you with us! All those in your list plus many others.